Will Burrard-Lucas added an addendum to the blog post that started it all: "For clarification, I am not claiming that these are the first photos of a black leopard taken in Africa. I do however believe that they are the first high-quality camera trap photographs." "A wild African black leopard... A dream come true!" Will Burrard-Lucas captioned the pic. "Black leopard spotted in Africa for first time in 100 years," National Geographic announced. "Ultra-rare black leopard is photographed for the first time in 100 YEARS in Africa," the Daily Mail trumpeted. "African black leopard photographed for the first time in over 100 years, scientist says," said CNN. Burrard-Lucas, in an interview with The Washington Post, stressed that his photos, along with footage in the same area captured by San Diego Zoo researchers, did announce a breathtaking moment - just not quite the one that was then rocketing around social media, fueled by exaggerated media reports. The recent images - taken at the Laikipia Wilderness Camp - were actually the first in nearly a century to document the rosette patterned-speckled coat of an African leopard, confirming existence on the continent of the genetic mutation that makes black leopards, well, black. Those headlines turned a significant yet carefully parsed achievement into a social media moment of mass confusion, helping, Burrard-Lucas said, to spread the false notion that black leopards haven't been seen or photographed in Africa in a century. That's not true. Phoebe Okall, a photographer with the Daily Nation, photographed such an animal in 2013 at the nearby Ol Jogi Conservancy, the paper reported. And after the Laikipia images were released, the Ol Ari Nyiro Conservancy produced a high-quality image of a black leopard taken in 2007, National Geographic reported. "But infrared imagery reveals the leopard's iconic rosette patterns at night," the San Diego Zoo said in a news release. "Everyone had a story," said Nicholas Pilfold, a scientist who was part of the San Diego Zoo team. "It really became this myth that built up over time. It's been something rare and elusive and very hard to get." Now that the scientists have the images, they can begin studying why exactly this genetic mutation occurs in the savanna, as most black leopards are found in tropical southeast Asia, where their dark coats help them sneakily hunt prey. "All they're seeing is a headline and a tweet," he said. "They have a valid point, but my blog post is clear. People who now understand how it got used are understanding." To underscore his point, Burrard-Lucas added an addendum to the blog post that started it all: "For clarification, I am not claiming that these are the first photos of a black leopard taken in Africa. I do however believe that they are the first high-quality camera trap photographs." 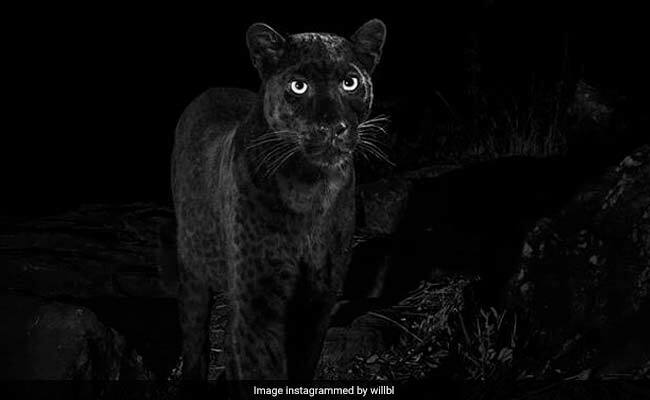 At least one of the offending news outlets made a change, too, softening the iffy historical claims: "Rare black leopard captured in new images from Kenya," CNN revised.